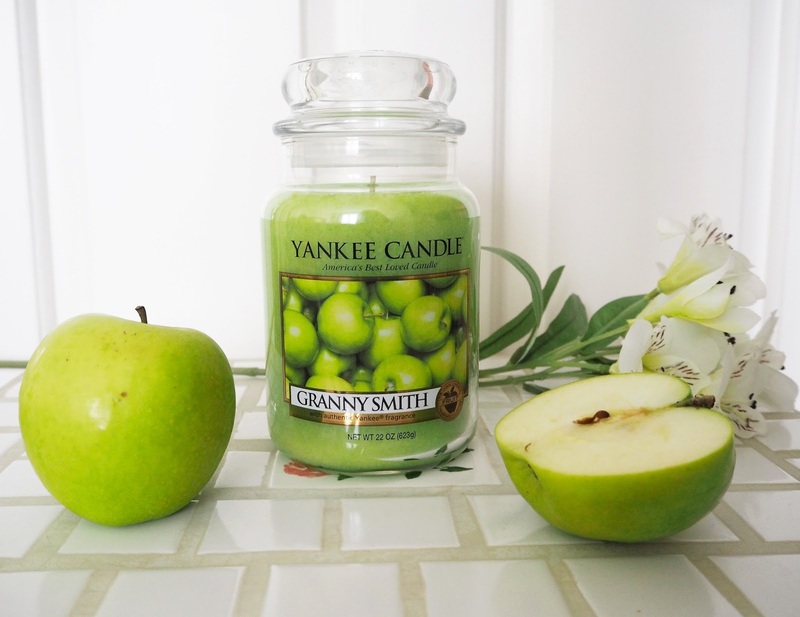 Granny Smith Yankee Candle | I got through an entire large jar of this fragrance during February! This (pictured) is a second candle I have as back up, I thought it would look better than just photographing an empty jar as you can really see the bright colour of the wax. It really does smell just like a fresh, juicy and crisp green apple I couldn't get enough of it! It is quite hrd to get hold of as this scent is now retired but if you shop around you might be able to pick it up, try ebay. If you follow me on Instagram then you'll have seen me post of a picture of this last month. I'm rather proud of the styling of this photo I think it turned out pretty well! 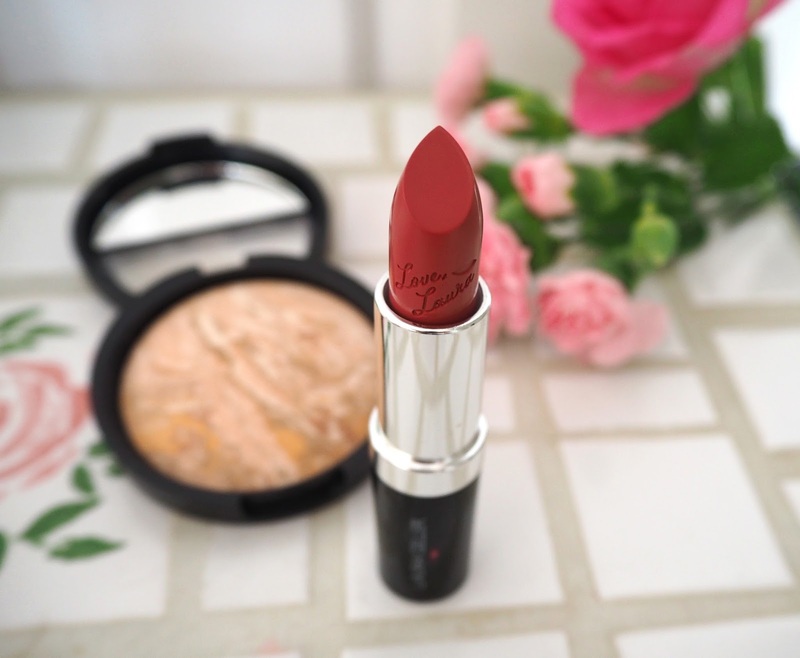 Laura Geller Rouge Audrey Lipstick | I have two Laura Geller products in this months loves list! The first is this lipstick in the shade Rouge Audrey. It came in a set from QVC. The pinky red colour is so wearable that I've found I've been popping it on so almost everyday. I love Laura's lipsticks they always feel as moisturising as lip balms but with a really rich pigmentation. Laura Geller Balance n Glow Foundation | I got this in the same set as the lipstick but you can now also buy it separately. Laura's baked products are some of my ultimate hero products and this one has been such a game changer for me. Balance n Brighton is Laura's original foundation formula. If you aren't familiar with this then you should know that although it looks like and is applied like a powder it's actually a baked cream so it's not dry or cakey. 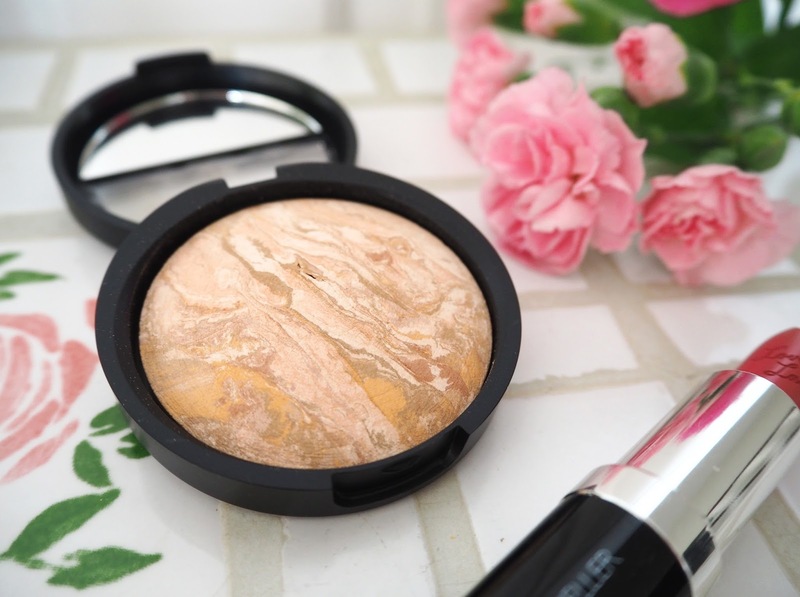 Balance n Glow is a brand new formula which combines the original Balance-n-Brighten with an illuminating swirl, to create a softer more luminous finish. It's almost like it has a little of Laura Geller's Golden Rose highlighter laced through it, it doesn't appear at all sparkly though. Compared to balance n brighten, which is more yellow toned, it's more peach/pink on the skin which I'm finding suits me better at the moment due to my skin being so much paler in the winter. I absolutely love this new addition to the Balance range and will definitely be repeat purchasing! 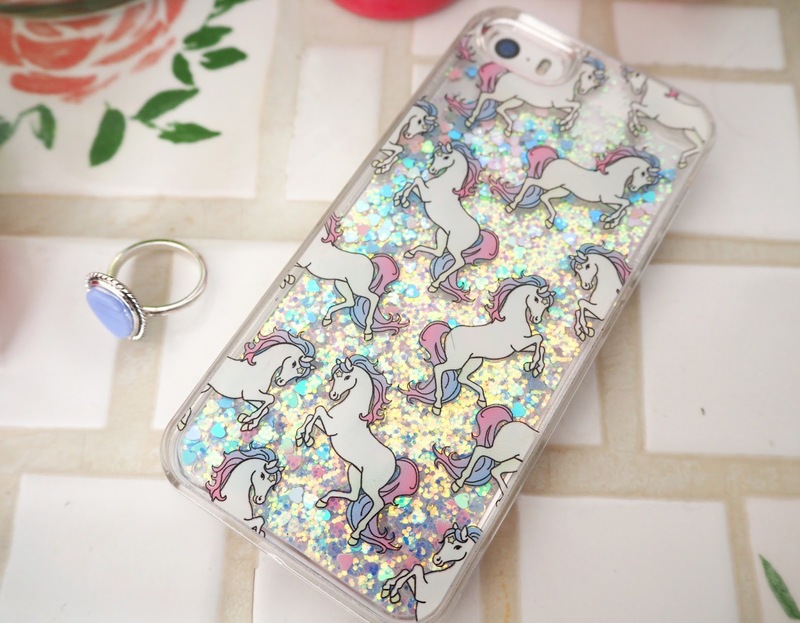 Unicorn Phone Case | My "I have this thing with unicorns" post on Instagram (yes I'm obsessed with the gram okay?!) 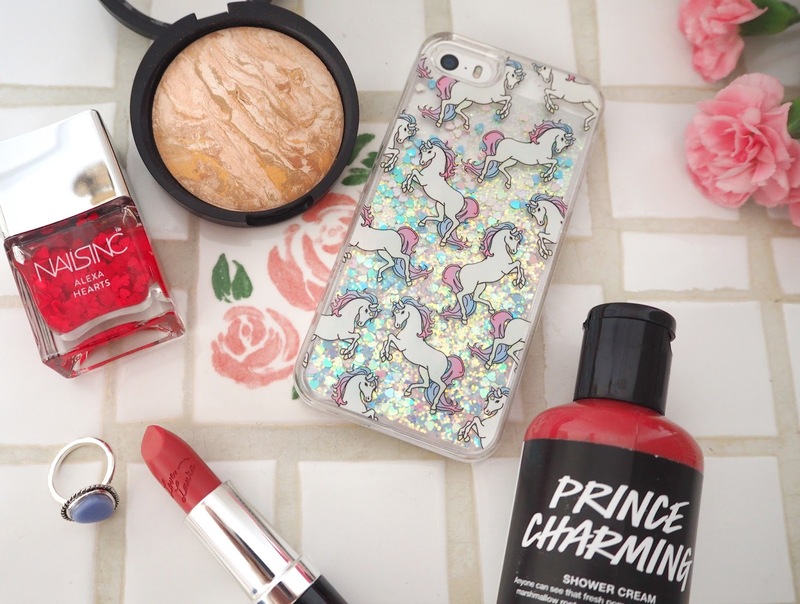 featuring some of my favourite unicorn themed goodies got so many hits that I see many of you share my enthusiasm for this majestic creature! 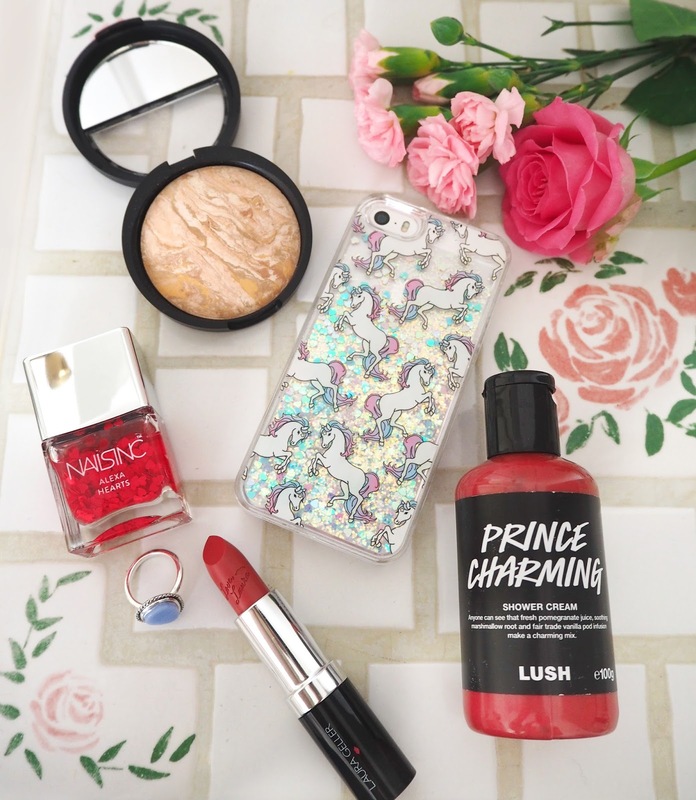 This phone case is from Skinnydip London and I find myself spending time turning it upside just staring at the liquid glitter & hearts falling down! A little insight into my wild life right there, but it really is quite mesmerising. It reminds me of these Disney cups I used to have as a child where all the glitter & plastic shapes used to float around, ahh memories! Nails Inc Polish: Alexa Hearts | I love to use these little hearts around Valentine's Day each year! They're so cute to add to an accent nail or one on each nail with a little extra glitter as I've done here. 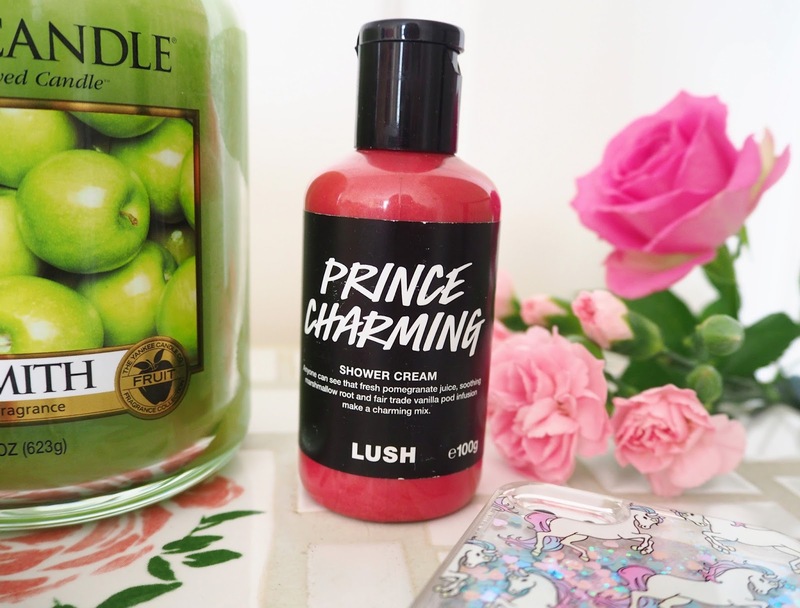 Lush Prince Charming Shower Cream | I've been using this shower cream such a lot this month as I found the scent so addictive. To me it smells rather like a sweet and I've been trying to pinpot which one, I'm going with a Strawberry Bon Bon I think! This was from Lush's Valentine's Day Collection so it was a limited edition but you can still pick it up in this exclusive gift set and possibly in some stores. Luckily I have a back up though! 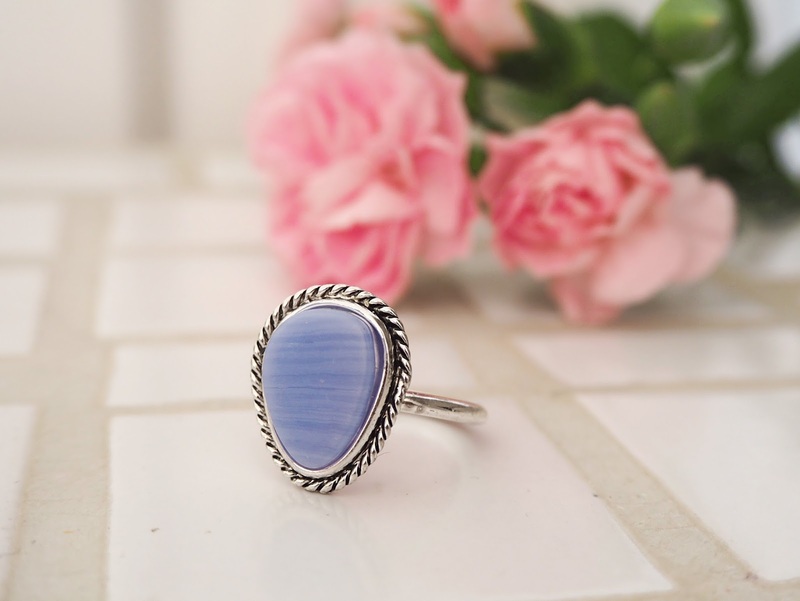 Accessorize Ring | I bought this with a gift voucher I got for Christmas. I'm a bit of a ring addict and have amassed quite a collection now! I think the pretty lavender/blue shade of the stone is right on point for one of this years Pantone colours of the year, my serenity. Tell me what products/items you've been loving over the last month! Love your photography! I'd love to smell the apple candle - I might have to go on a hunt for one! It would be a perfect fresh spring scent. Your Valentine's nails are super pretty, too! 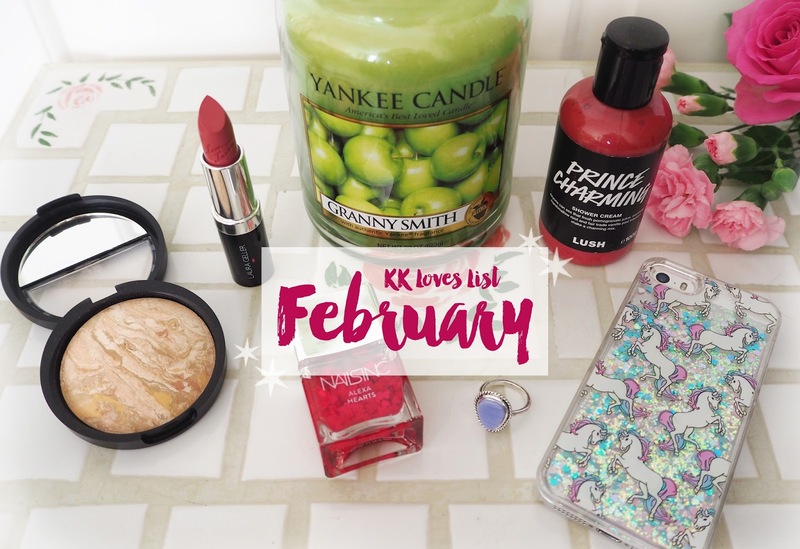 Love your post - I really wanna try the Yankee Candle now! And your pictures are on point! x.x.x.